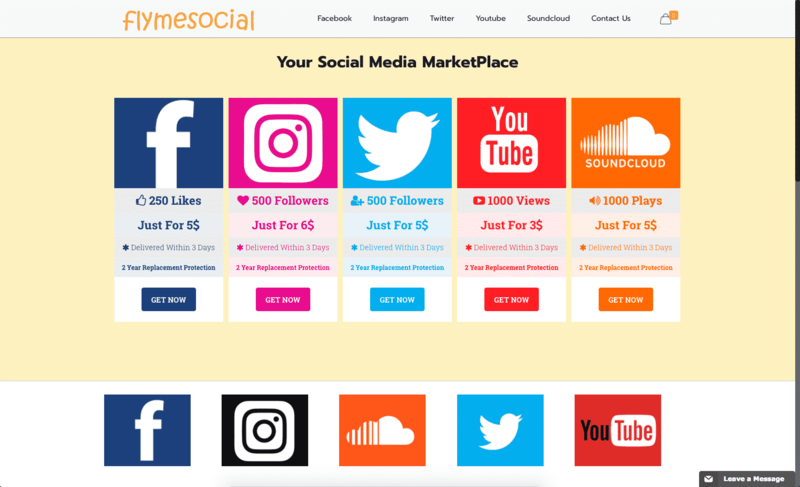 FlyMeSocial has been in the social media promotions business since 2009, and in that time they have provided a variety of services for different platforms. This has earned them a lot of positive response from customers. We ordered 1000 followers from FlyMeSocial to test their services. Our order was delivered quickly and the followers we received were of good quality. The price for these followers were slightly lower than other providers, and came with a good set of refund and two-year replacement guarantees to back up the order. FlyMeSocial’s customer support is very responsive, with their agents diligently answering questions via live chat. You can also use the online contact form for other questions. We recommend them if you want to make your Instagram page more prominent, and better establish your authority on the platform. Established in 2009, Canada-based FlyMeSocial is one of the more popular providers of social media boosting services. Throughout their history, the company has continuously improved their marketing methods. They say on their website that this has allowed them to deliver quality services to thousands of individual users and companies. The company offers all the basic Instagram services that you could need, including followers, likes, comments, and views. They also provide services for other major social media sites like Facebook, Twitter, Youtube, Spotify, and SoundCloud. This coverage makes the company suitable for those doing cross-platform marketing. FlyMeSocial provides basic Instagram services, such as followers, likes, comments, and views. 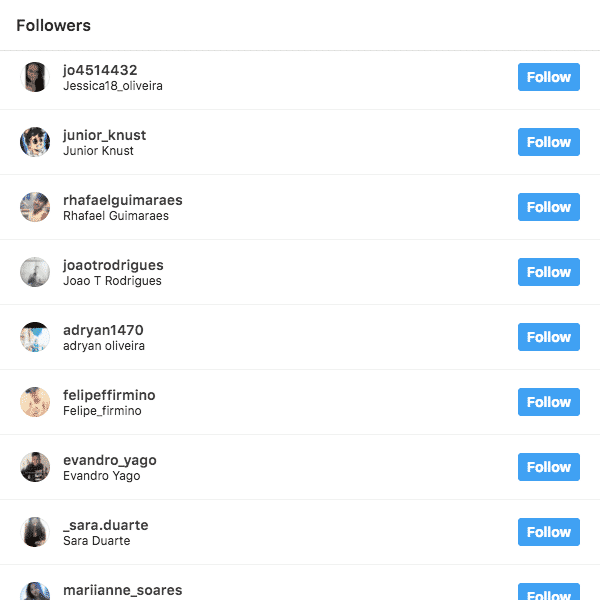 Their Instagram follower packages range from 500 up to 20,000 followers. The turnaround time varies from 3 days for the smaller packages, to up to 15 days for the 20,000 followers package. 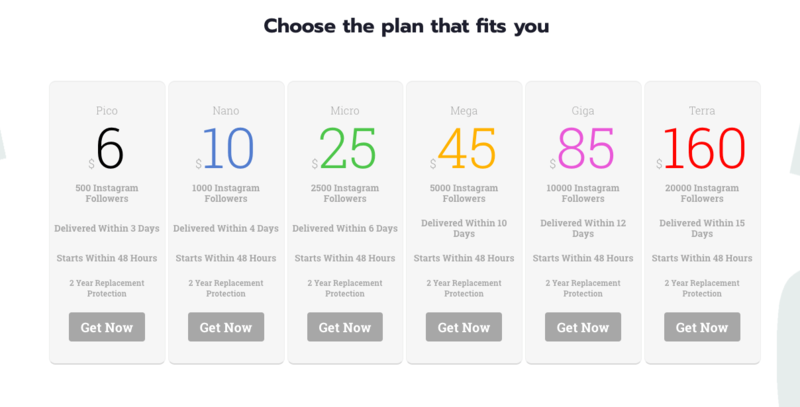 To order, you just need to select the package you want and provide your Instagram page’s URL or username. You can purchase multiples of the same package in a single order. We reviewed the terms and conditions sections on the FlyMeSocial website and made a few comments on their status below. To find out more details on these, then please toggle the sections to see what we thought! FlyMeSocial’s Terms of Service explains that they get the followers they deliver through promotional campaigns and ads. This means that they have no control over who will actually follow your account, and have no liability in case you get low-quality followers. The site also states that they have no liability for any potential damage that might happen to your Instagram page after using their services. This includes issues arising from improper use of their services or instances of account suspension. They also inform you that they provide log files that Internet service providers use to keep track of your browsing activity. FlyMeSocial assures that these log files are not tied to any of your personal information. You can request for your information to be removed from their database if you want to. FlyMeSocial provides a 100% refund guarantee for all of their services. The guarantee is available only for three days. Their customer support staff says that this is enough time for you to decide whether to continue using the service. The short time for the guarantee means that they may not be applicable for larger packages that take more than three days to completely deliver. We believe that a longer validity time for it would be preferable to let customers fully assess their purchases. FlyMeSocial offers one of the longest retention policies available. You will be able to get replacements for dropped followers for up to two years after your purchase. Since this is not mentioned on their on-site policy statements, you need to inquire with their customer support staff about eligibility. FlyMeSocial has an on-site live chat feature for real-time communication. The chat is available 24/7, and staff typically responds within a few minutes after you post your questions. Due to the limited number of people they have, response time can sometimes take longer. The site also provides a simple online contact form for non-urgent messages. Expect their response within a few hours to a few days after your message is sent. From there, you can communicate through emails. 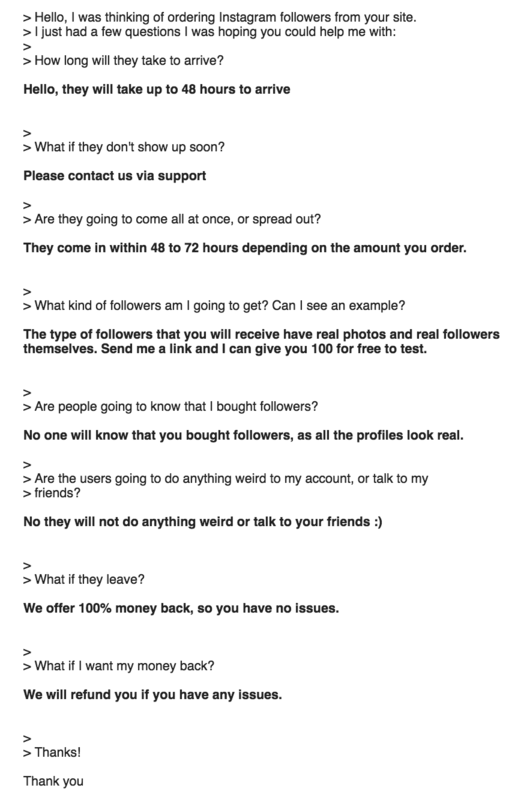 Before ordering, we sent FlyMeSocial some questions to test their customer support. 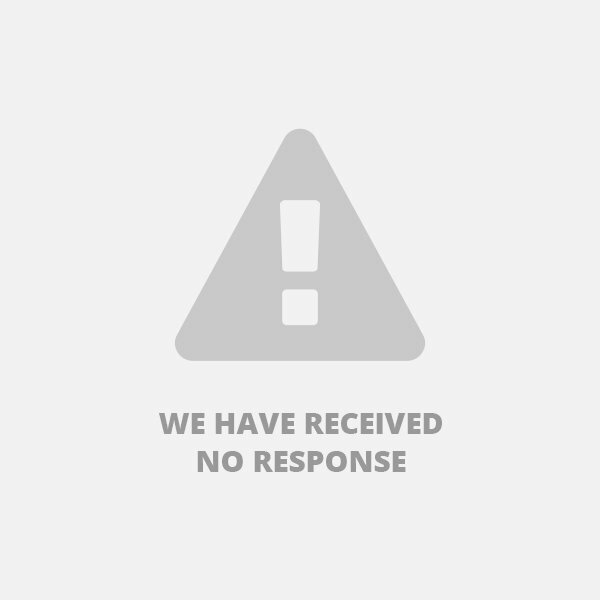 We got a response back answering all of our questions, neatly and in a friendly manner. This was a good response overall. "Hello, they will take up to 48 hours to arrive"
"Please contact us via support"
"They come in within 48 to 72 hours depending on the amount you order." 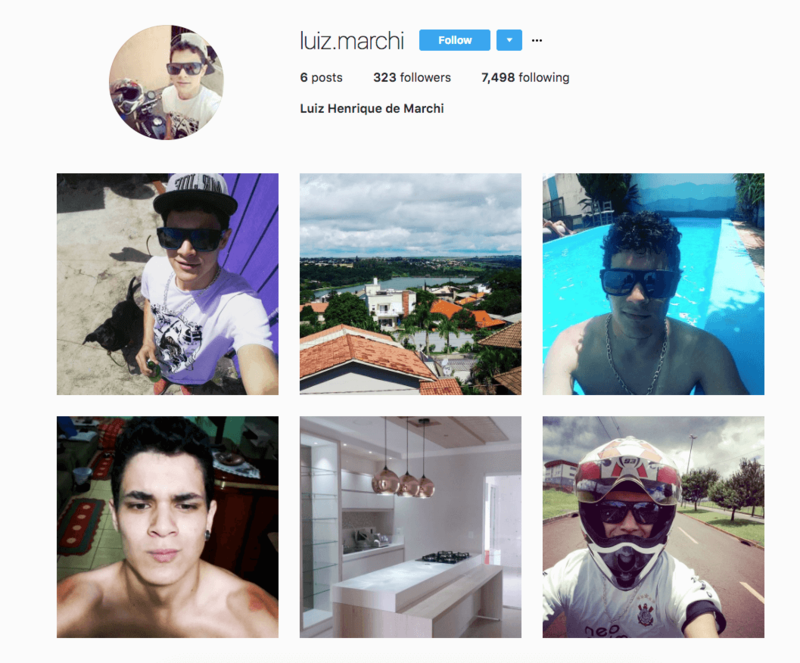 "The type of followers that you will receive have real photos and real followers themselves. Send me a link and I can give you 100 for free to test." "No one will know that you bought followers, as all the profiles look real." "No they will not do anything weird or talk to your friends :)"
"We offer 100% money back, so you have no issues." "We will refund you if you have any issues." After our order finishes, we like to send some questions to see if they treat a paying customer any differently. We'll update this section when we get a response. FlyMeSocial is a good option if you are looking to boost your Instagram popularity with decent quality followers. They offer a variety of packages from 500 up to 20,000 followers. This gives you plenty of options depending on the size of the promotions you want. If you need more followers, check out our list of other providers to see who offers larger packages. Our Instagram followers began arriving quickly, and the order was finished within 24 hours. We received 1,459 followers at the peak of our order, almost 500 more than we paid for. 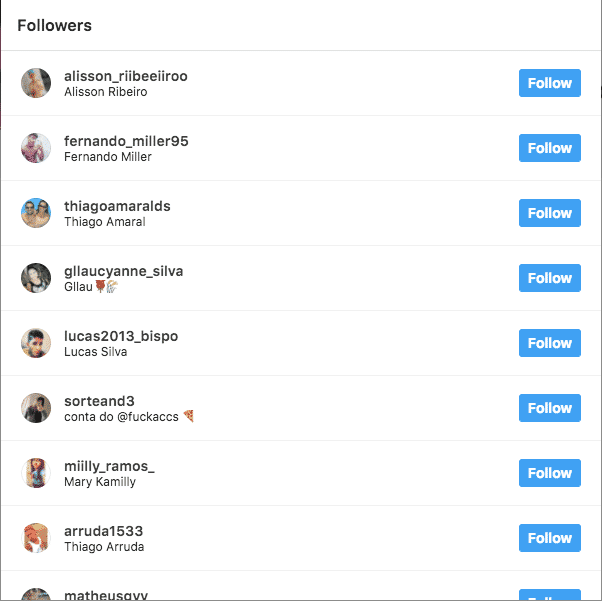 FlyMeSocial claims to provide only real Instagram followers to their customers. We found this to be mostly true based on our purchase. Most of the followers that we received had unique profile pics and complete bios. They also had decent account activity, like posting pictures frequently and having a decent following for their account. Having this makes them less likely to be seen as bought. Based on our test, 94% of the followers we ordered remained 60 days after our purchase. Since we got an over-delivery of almost 500 followers, that means we actually retained more than the 1000 we initially ordered. We can say that FlyMeSocial was able to provide us with a good service. 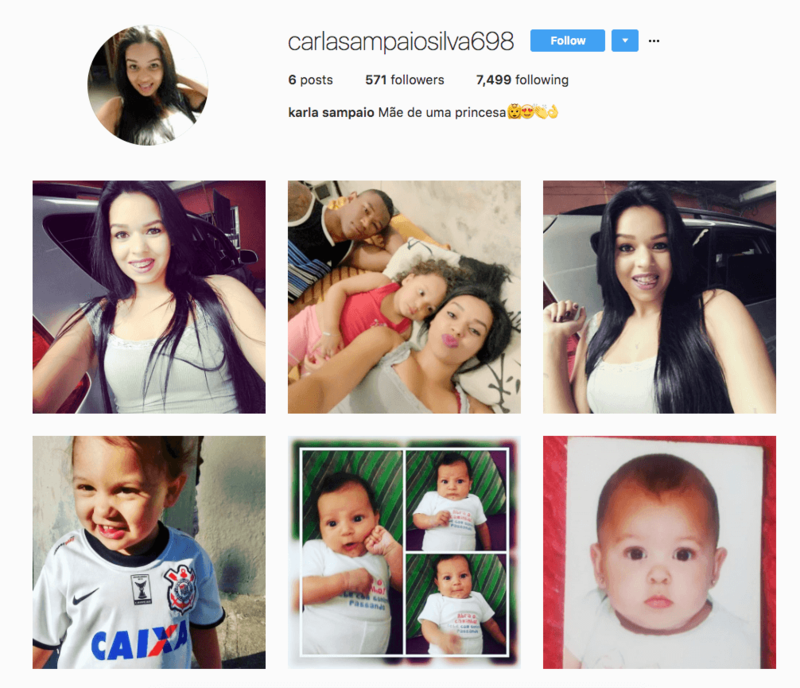 The Instagram followers they supplied looked real, with complete profiles and ongoing activity. People are unlikely going to notice that they are bought, and their service will make an account look popular. They were also delivered fast, with our 1000-follower order being completed within a day. Their followers packages are backed by good guarantees and customer support. We would have preferred a longer money back guarantee period, but the 2-year replacement warranty means that you can maintain your follower count longer. Customer support was excellent, with their responsive staff answering our questions in a live chat. Overall, FlyMesocial is a great option if you want to boost your Instagram account’s popularity effectively. We recommend clicking the pink button below to visit their website now! The Instagram followers delivered by these guys came in time and were of great quality. Their customer support also answered our queries promptly and effectively. We will definitely get back for more services. My team and i ordered for 1000 likes and got them in 16 hours. The likes actually started arriving within minutes of ordering. Their money back guarantee played a huge role in picking them over other services. We are glad we trusted them because they delivered a great product. I needed 1000 Instagram followers and after having a pleasant conversation with a customer support executive at flymesocial i decided to go for 2000 after learning of their guarantee policies. The followers came in under 36 hours which is pretty fast.The customer support at flymesocial is worth a second mention because they followed up to find out whether i was satisfied with their delivery. I received my likes in less than 24 hours. Really great for time-sensitive campaigns. I love the fact that they have money back guarantee. I haven't had any issues with them yet, but that should make any buyer feel secure. The followers I received have recent posts and engagements. I did receive a few private accounts but the public accounts outweigh the private ones which is good for me. You can really fly with flymesocial. Since purchasing their services, my Instagram account gained social proof and my online store is getting engagements! Thank you so much guys. Totally recommended! I have a very good experience with their customer support. They are really helpful and reply quite fast. Truly recommended. Their Instagram service is reasonable priced. Definitely recommended for those starting with little money to spare.